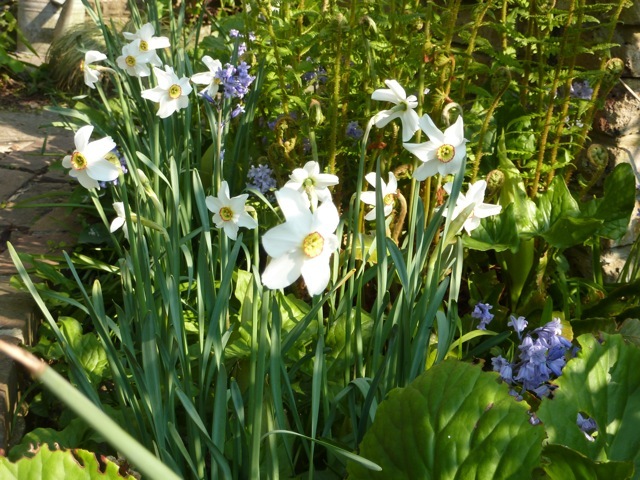 The pheasant eye narcissus have really multiplied this year and I love the way these late-flowerers look among the ferns and the bluebells. 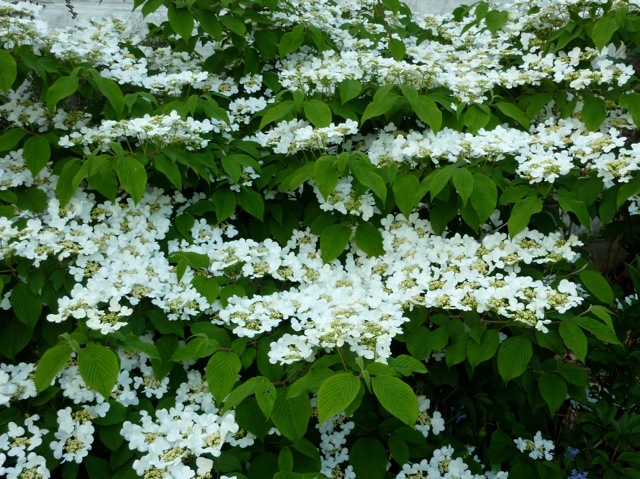 The tiers of blossom on the Viburnum plicatum mariesii make this one of the prettiest of all viburnums at this time of the year. 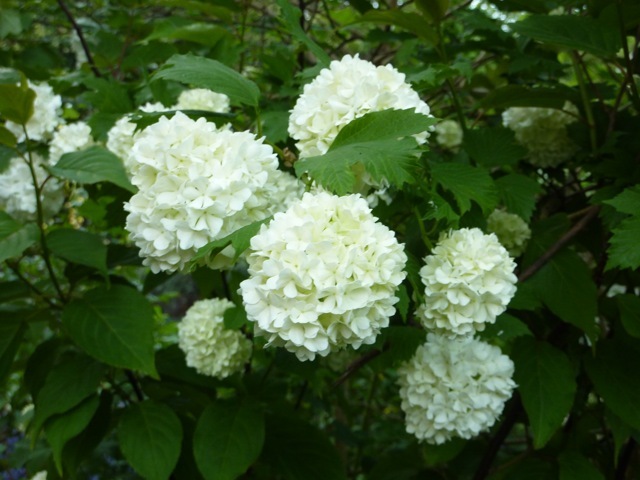 Viburnum opulus is commonly known as the Snowball Tree or the Guelder Rose.